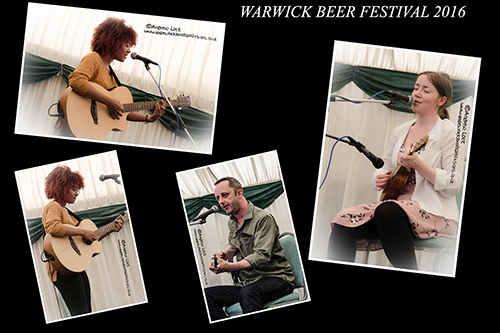 Along with a few halfs of great cider and ale enjoyed some of the music on offer at this years festival which was once again organised by the wonderful Matt Hernandez. Plenty of solo singer/songwriters on show including Jonathan Waller with one of the best looking guitars I have ever seen, Anthony Gliddon, James Lapworth and the aways fabulous Taylor-Louise. There was also spirited folk trio Malarkie with guitar, fiddle and a wonderful selection of drums, Kate Wilkins with a solo set combining voice, tambourine and ukulele and a cracking blues set by K2. Many more acts were on show over the festival weekend and well done to Matt and all performers for such fab music.